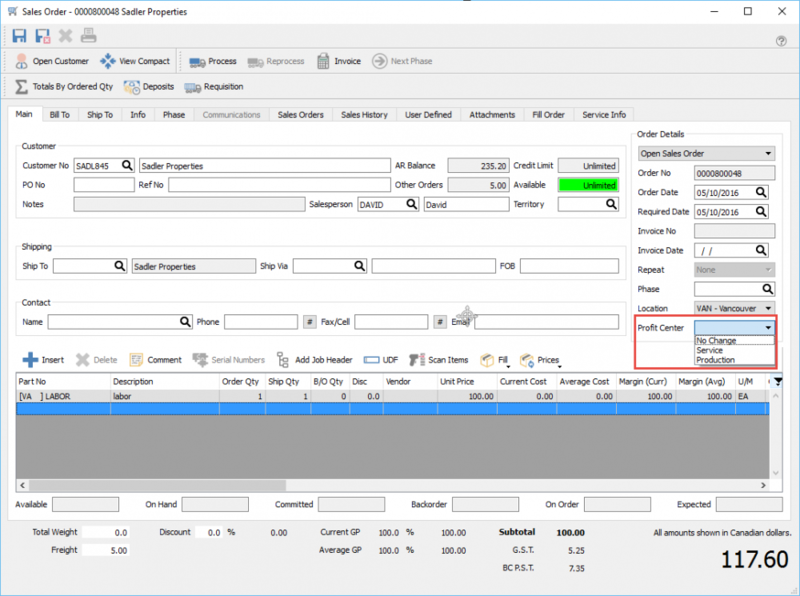 Inside a sales order the user selects the profit center to post to. When the invoice is posted without changing the profit center it posts sales to the GL account set in Sales Department for the item. Then when the profit Center ‘Production’ is selected it redirects the post to a different GL account as below.